Yesterday was the first OFFICIAL day of activity over at CES in FAH-abulous Las Vegas. Its also the day that Apple launched the Mac App Store. Now you can find, buy and install apps right from iTunes, like you do with all of your iOS devices. 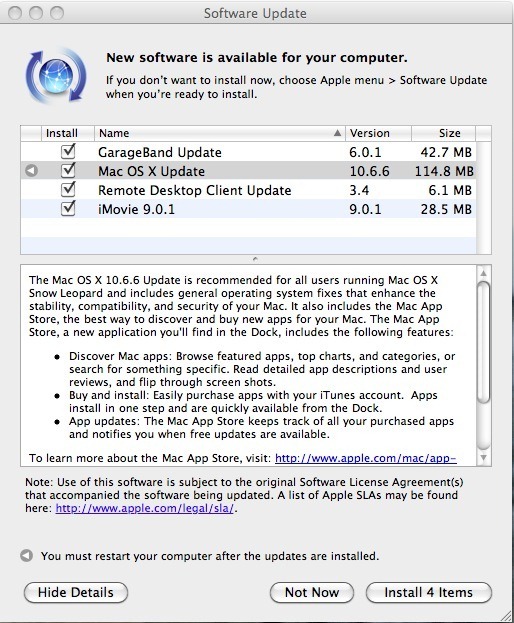 Apple also released a minor (115MB) software update to OSX 10.6 Snow Leopard (version 10.6.6) that specifically enables this ability and includes all the necessary support files and stuff. What I think is col, is that now your desktop apps can be managed, redownloaded, etc. just like your device apps. If you ever have to rebuild your Mac, reinstalling everything just got a whole lot easier.